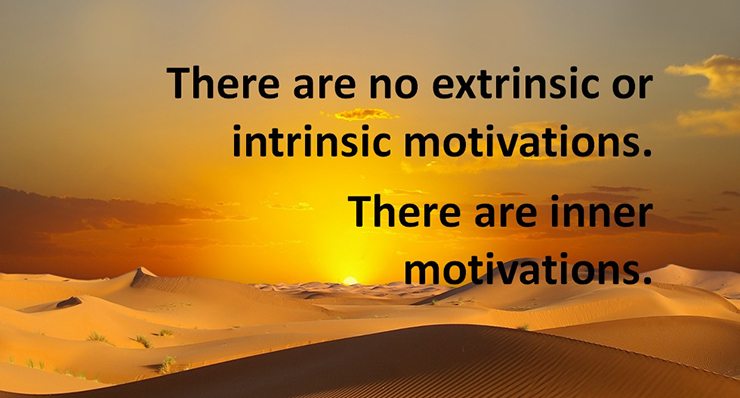 There are no extrinsic or intrinsic motivations. There are inner motivations. There is a well-known difference between extrinsic and intrinsic motivation. 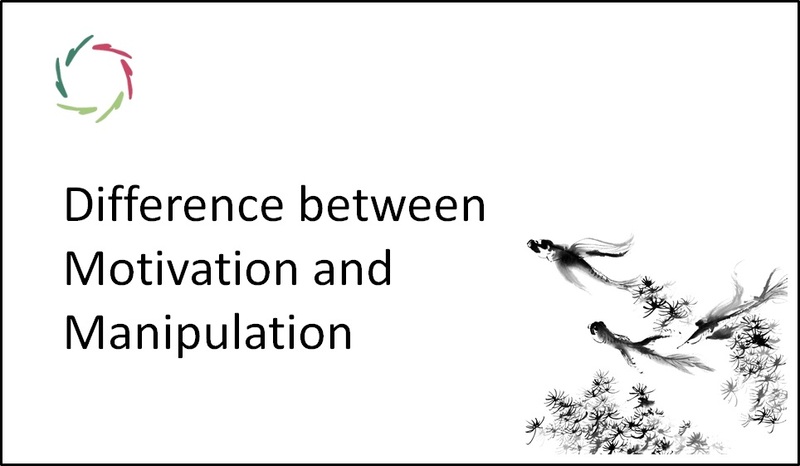 The latter is seen as being much more truly motivating. One more step to inside may be needed though. This is related to ‘subconceptual processing’, being mental processing that happens beneath the level of what can readily be put into concepts. It cannot easily be talked about except in a kind of poetical way. What one consciously sees as an intrinsic motivator is not really present inside the mind, being deeply part of who one really is. One can write on a piece of paper ‘flow’ or ‘joy in work’ or ‘challenge on the job’. These are descriptions at the outside. They are not experiences by themselves. 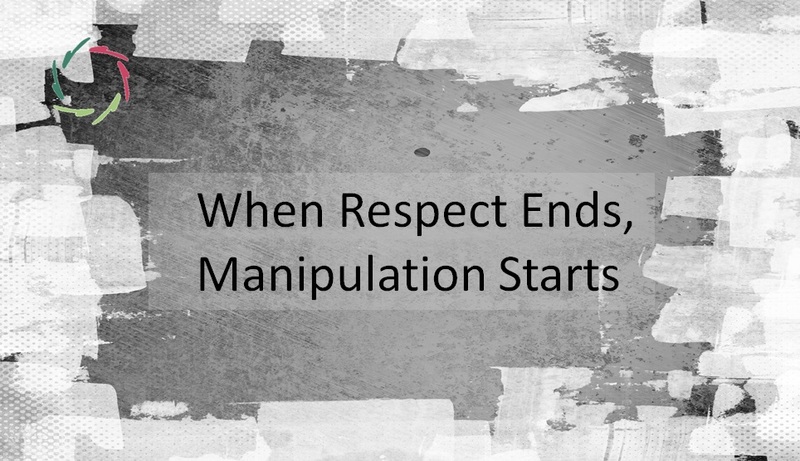 Therefore they do not ‘move’ a person. Only something very concrete, something in the ‘here and now’ can move a person. Very logical. Look at physics… Of course, a human mind is quite different from two round objects colliding in a physics’ class. It is the opposite in complexity, thus gets moved by a completely different kind of objects. Ultimately, a human mind gets moved by nothing else but deeper, ‘inner’ meanings, what one can only become vaguely aware of or ‘feel deep inside’. Anything called extrinsic or intrinsic motivation passes through this, or is no motivation at all. One had better call it a ‘goal’. Even so, a big difficulty in getting this landed is that ‘inner’ always means ‘less conceptual’, therefore less easy to pinpoint. Not easy to talk about, to get into people’s attention, to convey, to work with. You as a reader are also involved now. You may ask what ‘inner’ concretely means. Concretely, it means nothing. And yet as we now can see, concretely, it means everything. This paradox has a simple resolution. We just don’t make the distinction well enough between ‘concrete’ and ‘with clear borders’. In this case, the concrete does not have well-defined borders at all. Yet ‘inner’ is where all motivation is born. Take it or leave it. Human mind gets moved by entities with extremely fuzzy borders. Only these are really concrete motivators.